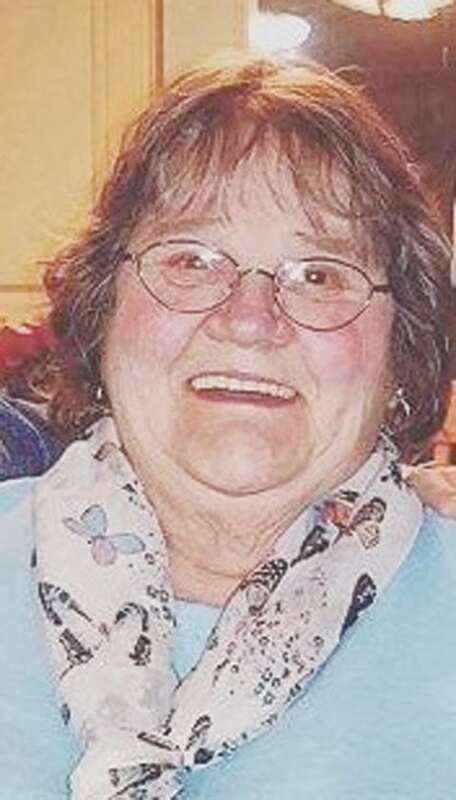 Sally Salsgiver, 76, of Clarendon, PA, passed away on Tuesday, September 4, 2018 at J.W. Ruby Hospital, Morgantown, W.V. surrounded by her family and friends. She was born on November 20, 1941, in Warren, PA, the daughter of the late Frank E. and Myrtle Thomas Wingard. Sally was a member of the Pleasant Volunteer Fire Department, attended St. Clair Catholic Church in Clarendon and was a member of various clubs/social halls in her community. Sally’s main priority was raising and caring for her family; she especially enjoyed looking after her grandchildren and spending as much time with them as possible. She opened her heart, home and kitchen to everyone. Anyone who knows Sally knows her as an avid BINGO player, a lover of cooking, playing cards, and socializing and volunteering at the Allegheny Community Center. Sally had a generous heart of gold and truly loved everyone she encountered; she was always making new friends. Sally is survived by her son: Kenneth “Bubs” (Dawn Marie) Salsgiver; four daughters: Tina (Mike Scott) Nary, Sherry (Steve) Nowell, Tonija (Greg) Senyo and Deby Guzman; her sister-in-law: Merle Wingard and her daughter: Susan (Dave) Ward (a very special niece); nineteen grandchildren, eleven great-grandchildren and one great-grandchild on the way; several nieces, nephews and cousins; her long time companion beagle dog: Webster. In addition to her parents, she is preceded in death by the love of her life, her husband, Jerry L. Salsgiver, whom she married on October 29, 1966 in Warren, PA and who passed away on February 7, 2012, two brothers: Kenneth Wingard, and Buster Wingard; and a sister: Betty Scott. Friends may call on Sunday, September 9th, from 24 PM at InterFaith Chapel of Warren, 33 Main Drive, Warren, PA. The family will hold a private service at a later date. In lieu of flowers, donations may be made in the form of Sally’s favorite hobby, scratch off tickets (winnings from the scratch offs will be donated to a charity of the family’s choice). Funeral arrangements are under the care of Powers, Present & Sixbey Funeral Home, Inc., 316 East Fifth Street, Jamestown, NY. To light a candle or to send condolences to Sally’s family please visit presentsixbeyfuneral.com.